It’s been a busy summer and believe me I do love summer, but it’s good to be heading into my brewing season again. I’ve got some neat recipes in mind I can’t wait to brew. I did brew a Berliner Weisse about a month ago using the awesome Wyeast 3191 blend. I’m still hopeful Wyeast will release it earlier next year so we can drink Berliners in July/August instead of brewing them (drop them a note here if you agree). That aside…I hope you were able to brew or enjoy a few wonderful funky beers over the past couple of months. The ph readings of commercial beers page continues to be updated. Thanks to some awesome suggestions I have started recording the gravity of the sample. 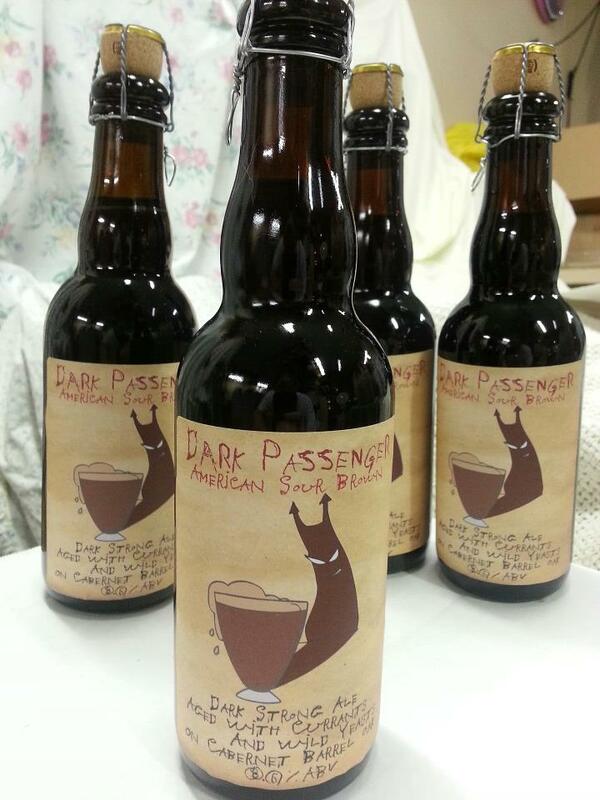 I wanted to update you on the “Dark Passenger” beer I brewed in April from a split batch of brown wort. I had planned on letting that portion go in the carboy for 6-8 months, but as you know the beer makes the schedule not me. So when I pulled a gravity sample a few weeks ago it was tasting fantastic, but I decided to wait another 3 weeks. The second sample I pulled was still tasting and smelling great so I decided to go ahead with bottling. The gravity at bottling was 1.005, also I meant to take a ph reading for you but got excited and drank the entire sample.Based on pre-carbonation tastings, this is high on my list of “brew again” and don’t change the recipe. Speaking of change…I did make a few minor adjustments to the label, but overall I’m very happy with how they look. For those interested in the labels, I used Office Max shipping labels # 612-281. So now a part of my big news. Rebel Brewer and I have teamed up to offer a series of Embrace The Funk ingredient kits based on my recipes. Tom hasn’t sent this out in his store newsletter yet, so I wanted you to be the first to know. The first release in the series is called “Nightfall Blackberry Lambic”. The kit is available here in All Grain, Advanced All Grain (uses raw wheat) and Extract form. **Update** The other kits have been added here. I’m really excited about this opportunity to hopefully help more brewers make that leap into wild and funky brewing. The kits are an easy way to get all the ingredients you need at once and know they are the same ingredients I would use. I’ve turned in 3 other recipes to Rebel, but I’m not sure what the release schedule is going to be for those other recipes. I am also planning on designing a few kits that will use the special release strains that Wyeast and White Labs put out every quarter. That project should be a lot of fun too. So that’s all I’ve got for right now. Thanks for your continued support and sharing the website on different forums. I’ve seen a number of people really helped out by the information here and I hope to continue that with even better posts this Fall! Cheers! Thanks Brandon! 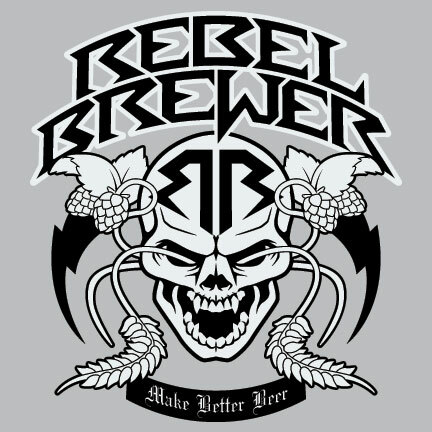 That’s really great of you and Rebel Brewer. I’ll pick up a kit this weekend when I make a run to Nashville. I’m interested to see what else you come up with. Thanks Joe. I hope you like the kit. The others are pretty rad too, but I thought a fairly easy kit to get started with would be the best route. Picked up the raspberry version of it. I’ll let you know next year at this time how it turned out. 😉 Much thanks. Glad to see you helping make these types of beers more accessible to homebrewers. The more people brewing these types of beer the faster we can all improve (and hopefully push more commercial brewers). I love the corked and caged look. What size corks are you using in the 375 ml Belgian bottles. My corks never seem to fill up the crown of the cage. Those bottles look awesome. Next year I’ll look at them for my first lambic if the price is still that good!